A comprehensive, best-selling, science-based approach to building livestock and poultry management systems for food, fiber, and recreation. With Scientific Farm Animal Production, students of animal agriculture get a comprehensive, science-based approach to building livestock and poultry management systems for food, fiber, and recreation. It effectively integrates the scientific disciplines that support livestock and poultry production with detailed information about the primary livestock species, appropriate management protocols, and the market forces that impact demand across the supply chain. 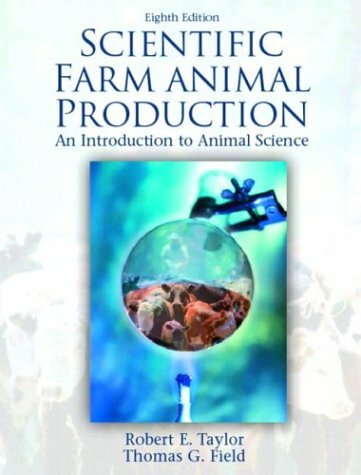 As a result of a comprehensive review by nearly 20 professionals, this new edition features increased clarity, depth and accuracy, including improved end-of-chapter questions; updated and enhanced figures and color photos; the latest demographic data; an expanded discussion of social and consumer issues; and an authoritative look at the trends, issues, and opportunities for animal agriculture. 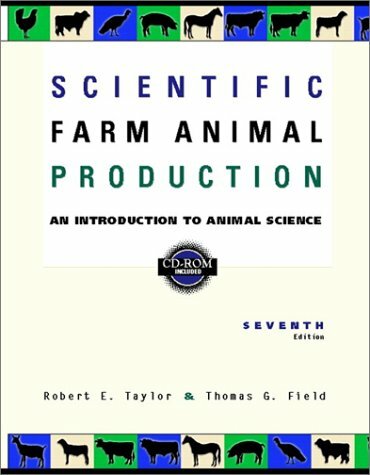 Scientific Farm Animal Production: An Introduction to Animal Science, Tenth Edition, offers students a comprehensive, science-based approach to managing livestock for food, fiber, and recreation. 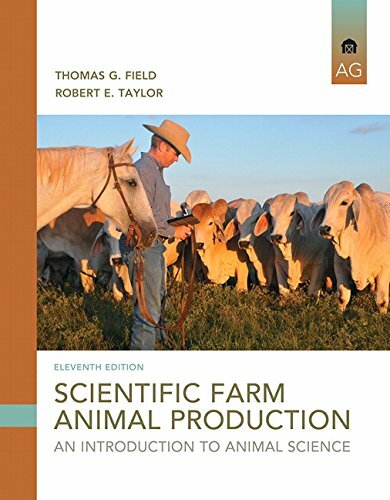 This best-selling text examines the biological principles, scientific relationships, and management practices of livestock production, providing students the context and foundation upon which they can determine their academic and career focus. Updated with new figures, color photos, and current demographic data, the tenth edition is the best reference and resource available to teachers and students at the introductory level in animal sciences. 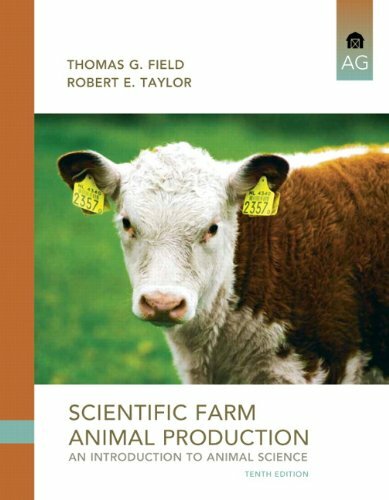 Brand: Field, Thomas G./ Taylor, Robert E.
The ninth edition of this best-selling book examines the biological principles, scientific relationships, and management practices of livestock production. 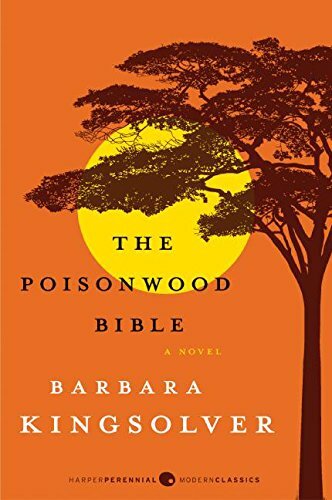 Blending the discussion of science, disciplines and industries, it effectively introduces readers to Animal Science using a breadth and depth that is unparalleled. Following a logical organization, it first discusses animal products, then basic biological principles (growth, genetics, reproduction, nutrition, health, etc.) and finally the feeding, breeding and management of primary livestock industries. It also gives readers insight into the societal issues surrounding the livestock industry and an overview of the careers and opportunities available within the field. 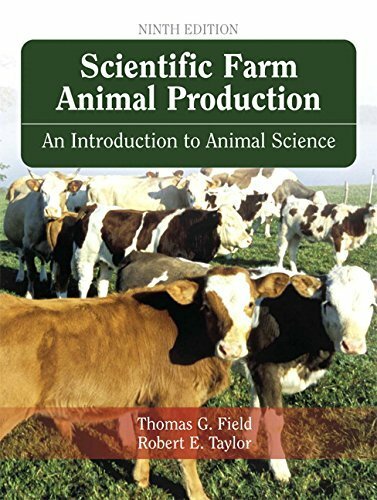 For freshman-level courses in Introductory Animal Science.This highly acclaimed, best-selling introduction to animal science explores the depth and breadth of both the livestock and poultry industries. 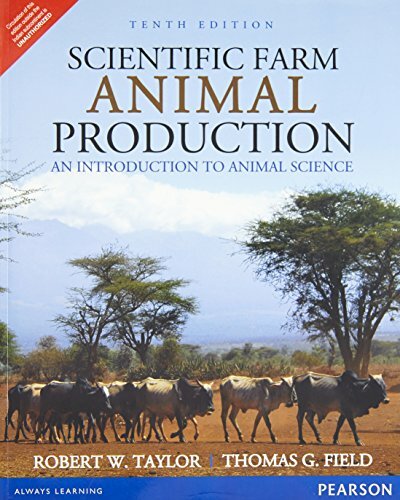 It provides a sound overview of the biological principles of animal science (e.g. reproduction, genetics, nutrition, consumer products, etc. ), and offers comprehensive coverage of the practical areas of breeding, feeding, and management of major farm animal species. The latest edition of this proven and highly acclaimed best-seller provides the most up-to-date information while continuing to encompass the depth and breadth of both the livestock and poultry industries. 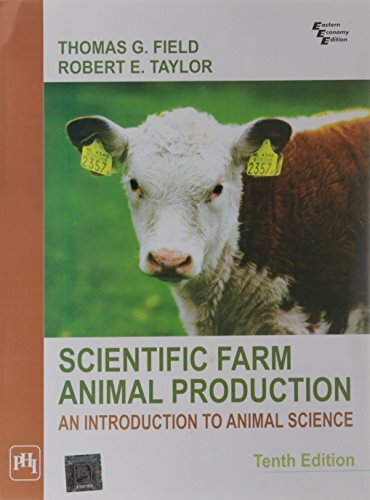 Providing a sound overview of the biological principles of animal science (e.g. reproduction, genetics, nutrition, consumer products, etc. 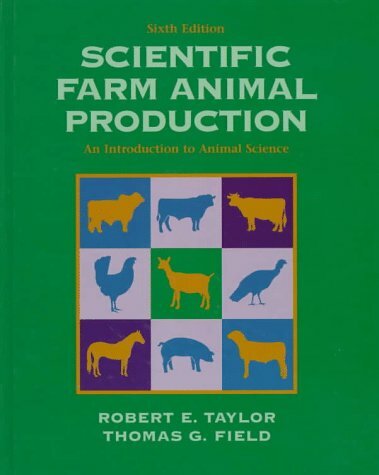 ), the text also offers comprehensive coverage of the practical areas of breeding, feeding, and management of major farm animal species. Copyright © Wholesalion.com 2019 - The Best Prices On Scientific Farm Animal Online.